KATONG REGENCY is located at 13 - 17 TANJONG KATONG ROAD in district 15 (Katong, Siglap, Tanjong Rhu) of Singapore. KATONG REGENCY is a Freehold Condo development consisting of 244 units. KATONG REGENCY is completed / TOP in 2015 (estimated), developed by UOL PROPERTY INVESTMENTS PTE LTD.
Educational institutions like ETONHOUSE INTERNATIONAL SCHOOL, CANADIAN INTERNATIONAL SCHOOL (TANJONG KATONG), CHATSWORTH INTERNATIONAL SCHOOL (EAST), KONG HWA SCHOOL, HAIG GIRLS' SCHOOL and GEYLANG METHODIST SCHOOL (PRIMARY) are near to KATONG REGENCY. 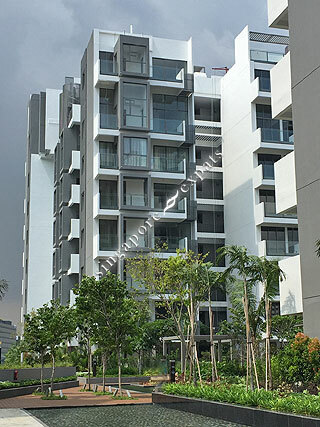 KATONG REGENCY is accessible via nearby PAYA LEBAR, DAKOTA and EUNOS MRT Stations. Everything is quite new and all you need is just a stone through away. Easy access to cite and Airport. Peaceful park connector to East Coast. A lot of places to go out nearby. Just perfect.